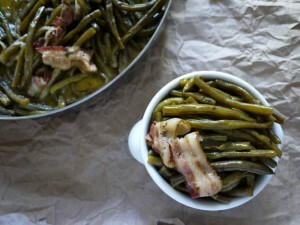 Around this time of the year, everyone is looking for that perfect fresh green bean side dish. 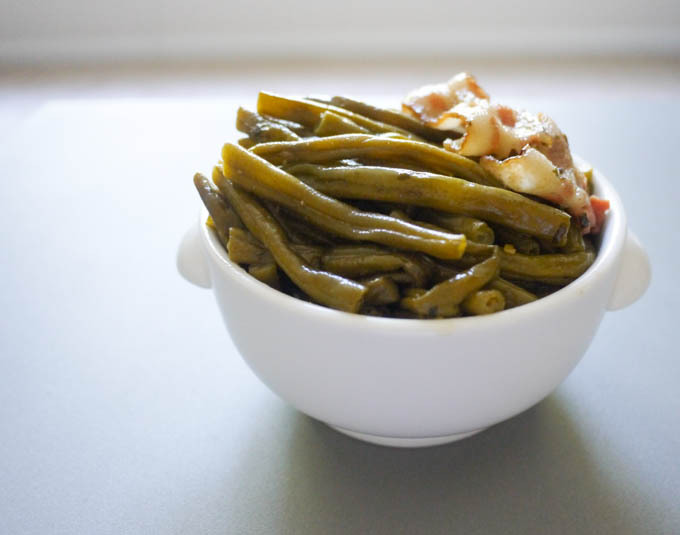 I love a good green bean casserole, but my most requested green bean dish is this easy little number. 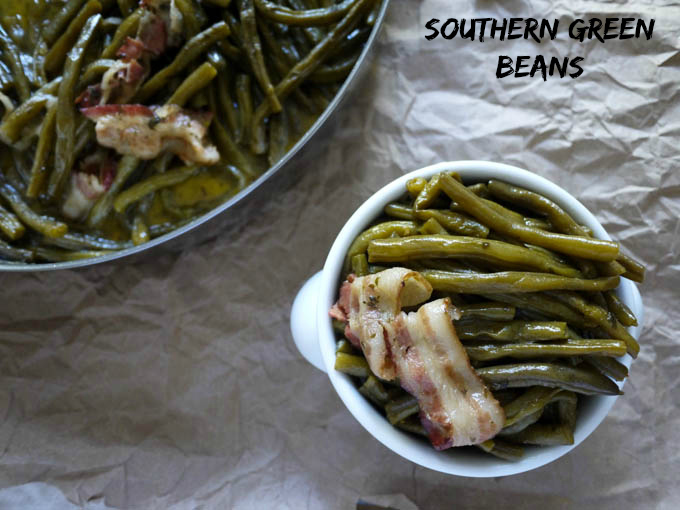 These green beans just melt in your mouth with all their buttery deliciousness. They’re excellent paired with chicken, turkey, ham and even all on their own! 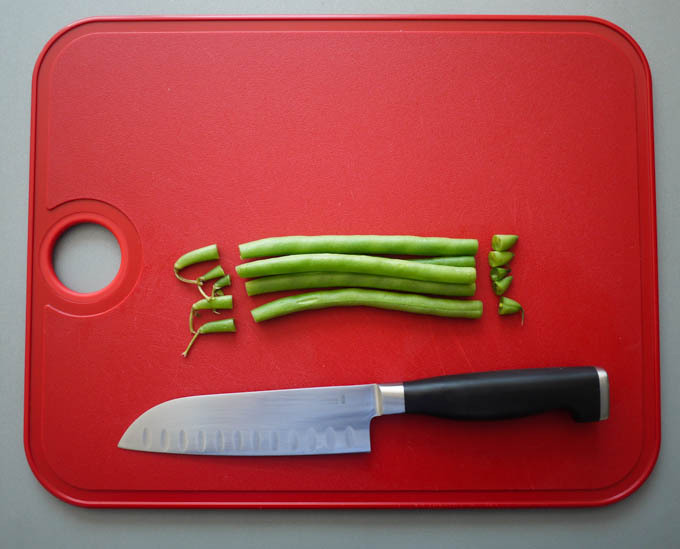 Trim the ends off your green beans. Place them in a large pot and add the butter, parsley, season salt, and bacon. Cover with 8 cups of water and simmer on medium high heat for approximately 1 hour and 20 minutes, until the water has cooked off and you are left with just melted butter. I love to wrap myself in a blanket and eat them straight out of a little bowl on the couch. 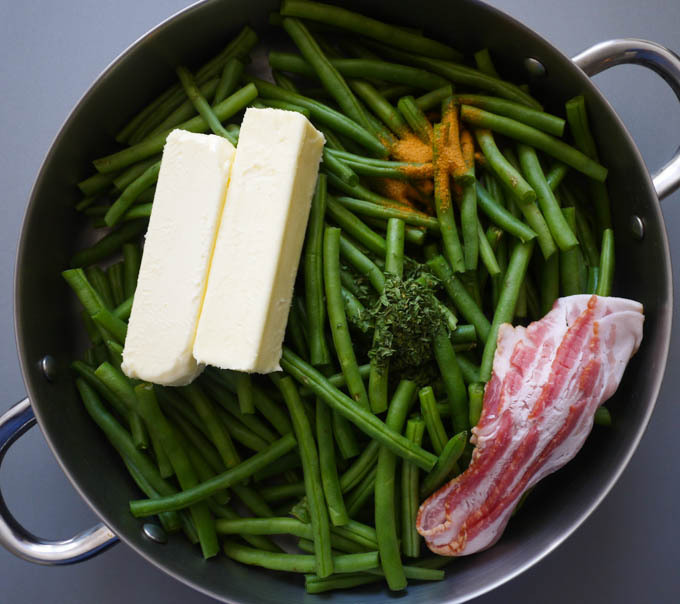 Buttery, southern-style green beans cooked with parsley and pork. The nutrition information includes 2 full sticks of butter, even though it is unlikely you will consume all of the butter sauce. I’m hungry already! 🙂 My BIL made some green beans he fried in bacon fat and they were SO good. I can only imagine just how luxurious the addition of the butter would be! I can’t even…You’d better make room for me on the couch! I have to try these!!! Pinning for later.